Since the dawn of humanity we have looked to the night sky to make sense of our place in the universe. Joyful or hurt, comforted or lonely, we are all dreamers when we gaze up at the stars, seeing not the vast darkness but the light. Only together can we create a community of healing, hope, and love. Your evening under the stars will be filled with a unique show of artistic and musical performances, a gourmet feast, and cosmic wonder all in support of youth on their journeys towards healing. 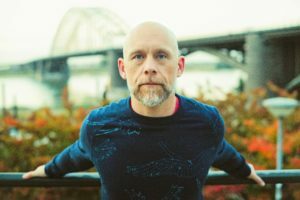 Buddy Wakefield is is a three-time world champion spoken word artist featured on the BBC, HBO’s Def Poetry Jam, ABC Radio National and signed to Ani DiFranco’s Righteous Babe Records. In 2004 he won the Individual World Poetry Slam Finals thanks to the support of anthropologist and producer Norman Lear then went on to share the stage with nearly every notable performance poet in the world in over 1500 venues internationally from The Great Lawn of Central Park, Zimbabwe’s Shoko Festival and Scotland’s Oran Mor to San Quentin State Penitentiary, House of Blues New Orleans and The Basement in Sydney, Australia. Under the direction of celebrated Canadian choreographer Wen Wei Wang, Ballet Edmonton brings original contemporary ballet to communities across the country. Ballet Edmonton has been the resident contemporary ballet company since 2012, striving to make ballet accessible by inspiring audiences with original work. The company pushes the boundaries of the traditional ballet aesthetic to allow for new, exciting physical vocabulary to emerge. Ballet Edmonton has a mandate to create original contemporary balletic work with a focus on Canadian choreographers. Ballet Edmonton is a not-for-profit organization that is committed to artistic collaborations in the dance and arts communities. It also engages with the greater community by offering wellness-focused classes for adults, seniors, socially vulnerable families and people with cognitive or physical disabilities. 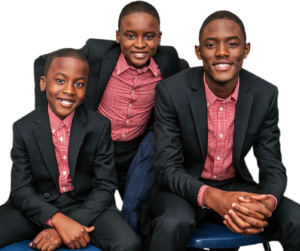 The Melisizwe Brothers, Marc, 16 years old, Seth, 12 years old, and Zacary, 11 years old, from Leduc, Alberta, Canada, are three multi-talented brothers who have received international recognition for their incredible musical talent, and are also the founders of the Gold Mind Initiative which focuses on helping individuals to discover and unlock their potential in hopes that they will in return help others find and maximize theirs as well. When the brothers are not here in Edmonton they spend a lot of time traveling, across Canada and to such places as the United States, Brazil, the United Kingdom, and the Caribbean. They are looking forward to their first visit to continental Africa! Mataya G. is a young Cree person from Calling Lake First Nations, AB. 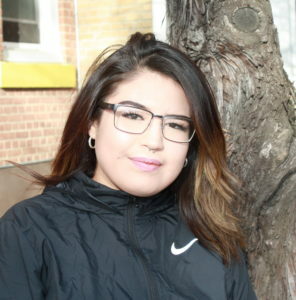 She is currently attending Grade 12 at McNally High School and is residing at the Graham’s Place in Edmonton. She first started dancing at her home reserve when she was 7 years old. When Mataya experienced the loss of her father in 2018 she stopped dancing. As she has healed the thought of her late dad and her Kokum has inspired her to start dancing again, as they were her biggest supporters. Mataya feels as though there is yet a lot of healing to be done, not only in her personal life, but also healing of her family members and of our whole community altogether. When she hears the beat of the drum, it makes her heart beat faster—it makes her happier and takes away the heaviness off her shoulders, like the rain washing away the pain. Mataya is looking to continue practicing powwow and travel across Turtle Island sharing her healing dance with others. Mataya is performing the Jingle Dress Dance, a traditional healing dance of many Indigenous peoples. Gala Afterparty hosted at Revel Bistro & Bar! Holos energizes your organization with targeted health initiatives to take productivity to the next level. Custom performance programs based on detailed diagnostics that profoundly influence your corporate bottom line for maximum ROI. 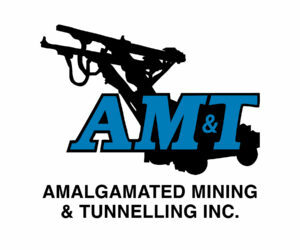 With over 26 years’ experience, AM&T is proficient in sourcing, customizing, and supplying all types of surface and tunnelling equipment. You can be confident that our wholly owned and guaranteed fleet of over 800 units can ensure your objectives are achieved. The dress code for the YESS Gala for Youth is semi-formal. What is the scheduled program for the event? The YESS Gala for Youth will begin at 6PM with a cocktail reception, with dinner and performances starting at 7PM. What opportunities to support will there be? There will be a live auction and raffles with all proceeds supporting YESS. Parking options include the Impark Underground Lot at Canada Place, Impark Surface Lot at the Courtyard by Marriott, and the Grierson Hill Surface Lot. Yes, your event ticket is eligible for a $50 charitable donation receipt. If you purchase your tickets online, a charitable donation receipt will be issued after the event through our online event platform, Canada Helps. If you purchase your tickets by cheque or credit/debit card at YESS, charitable donation receipts will be issued shortly after the payment is processed. Note that charitable donation receipts can only be issued to the person/company who purchases the tickets, per Canada Revenue Agency Income Tax Act. Please note also that, when purchasing online, the receipt is issued to the name on the credit card. How can I get the most up-to-date information about this event? Follow us on social media on Facebook, Twitter, Instagram, or LinkedIn for gala updates, or keep an eye on this space! Are there sponsorship opportunities for this event? Yes, there are many different sponsorship opportunities for this event. Take a look at the event sponsorship package or get in touch with our philanthropy team at giving@yess.org. The afterparty will be hosted at Revel Bistro & Bar across the street from the Edmonton Convention Centre. There is no cover charge for the afterparty at Revel. Will there be food and/or drink? Yes! And $1 from every feature cocktail purchased and every feature menu item ordered will be donated to YESS!